After the family matriarch passes away, a grieving family is haunted by tragic and disturbing occurrences, and they begin to unravel dark secrets. One of 2018’s better-received horror films, Hereditary introduces us to the Graham family. When grandmother Ellen dies, this creates a ripple effect of reactions. Though never close to her difficult mother, Ellen’s daughter Annie Leigh Graham (Toni Collette) works through the mourning period in different ways. These intensify as a mix of strange occurrences take place in the weeks following Ellen’s passing. 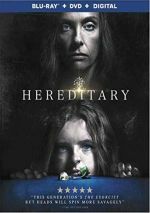 When Hereditary ran theatrically, I thought about seeing it, mainly because it received such good reviews. I stayed away, however, because so many horror films let me down. The genre so often gets mired in cheap scares and clichés that I find it hard to get charged up about its entries. I’ll watch them at home so at least I get a review out of the experience, but if I need to shell out my own money, it takes a rare horror tale to lead me to the local multiplex. I can’t say I wholly regret that decision, but now that’ve I’ve seen it, I do kind of wish I’d taken in Hereditary on the big screen. 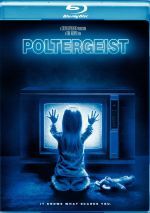 The movie doesn’t offer a thrill-a-minute, but its style of creepy slow-burn horror would work better in an audience. Not that it doesn’t do well for itself on my home theater, as this unusual story plays out in a satisfying manner. Like many of the better horror flicks, Hereditary fares best when it keeps the audience off-guard. In this instance, the most satisfying aspects of the tale occur when plot points remain vague. During the movie’s earlier scenes, we don’t quite know what to believe, and that off-kilter element adds depth. Hereditary loses steam as it progresses, mainly because it largely eliminates the sense of uncertainty. As the truth becomes more apparent, the movie becomes a bit less stimulating. Still, Hereditary mostly works well, and a good cast helps. Collette deserves praise for her insightful, reserved take as the lead, and the other actors bring depth to their parts as well. Hereditary isn’t a great film, and I suspect it got such strong reviews mainly because it offers something better than average in a moribund genre. Still, it’s a largely successful slow burn of a horror movie. Hereditary appears in an aspect ratio of approximately 2.00:1 on this Blu-ray Disc. The movie showed a high-quality presentation. Sharpness largely seemed positive, as the majority of the movie offered appropriate delineation. Some of the interiors could come across as a little ill-defined, but most of the film looked concise. I saw no jagged edges or moiré effects, and edge haloes remained absent. I also noted no signs of source defects. As expected, colors remained stylized, with a definite orientation toward a mix of orange and teal. These hues appeared predictable but they served the production’s choices. Blacks seemed fairly deep and firm, while shadows offered pretty good clarity. This came across as a “B+” presentation. I felt the same about the often subdued DTS-HD MA 5.1 soundtrack, as it focused on the usual scope one associates with creepy horror films. This meant a lot of spooky ambience and not much more. That said, the mix did kick to life at times. Some of the stabs at scares boasted good involvement around the spectrum, and music provided nice utilization of the channels. Audio quality seemed solid. Music was lively and full, while speech appeared natural and concise. Effects also appeared accurate and dynamic. All of this led to a generally appealing soundtrack. Cursed: The True Nature of Hereditary runs 20 minutes, eight seconds and includes comments from writer/director Ari Aster, production designer Grace Yun, and actors Toni Collette, Alex Wolff, Milly Shapiro, and Gabriel Byrne. “Cursed” looks at influences, story/characters, cast and performances, sets, locations and production design, the use of miniatures, and music. This turns into a generally effective overview, if not a great one. Eight Seleted Deleted Scenes occupy a total of 15 minutes, 46 seconds. These tend toward character bits that focus on Peter. While none of them seem crucial, they add decent information, especially in regard to the Steve role, as he doesn’t get much to do in the final cut. Called “Evil in Miniature”, a Photo Gallery appears as well. It presents 21 shots, most of which focus on the miniature environments displayed in the film. It’s fun to get a better view of these. The disc opens with ads for The Witch, The Killing of a Sacred Deer, It Comes At Night, Under the Silver Lake and First Reformed. No trailer for Hereditary appears here. More subtle than the average horror film, I won’t call Hereditary a classic. However, it’s firmly above average and brings a good tale our way. The Blu-ray provides pretty positive picture and audio as well as decent supplements. Horror fans should give this one a look.